Modern and light-filled holiday apartment in a popular urban district for four people. In this unique holiday apartment you can enjoy all around comfort in a top location! 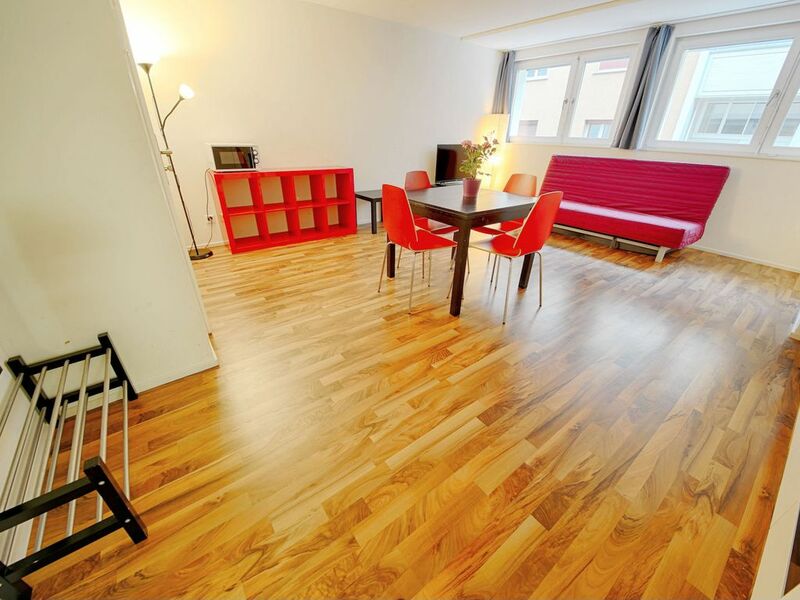 The furnished apartment offers 2.5 rooms on 41m2 and accommodates a total of four guests. The new and modern kitchen offers all possibilities for cooking. A glass ceramic cooker, oven, dishwasher, coffee machine and all necessary kitchen utensils are available. The bright and stylishly furnished holiday home also has a private bathroom. There you will find a shower, towels, hair dryer and toiletries. The apartment offers you the following services included in the price: Wi-Fi Internet, TV with international channels, bed linen, towels and bath towels. Additional services, such as extra cleaning, can be booked for an extra charge. The holiday home is located at Badenerstrasse 294 in the centre of Zurich. From here you enjoy an ideal connection to public transport and reach the railway station, the famous Niederdorf quarter, the lake and other sights in a few minutes. Various shopping facilities (e.g. Coop supermarket) and restaurants are within walking distance of the apartment.